Whether your PC is capable of running a new game is a constant question in the life of video game lovers. The most important component to answer this question is the video card directly responsible for processing 3D graphics on your PC. Learn how to identify a good video card and more importantly, how to find out the limitations of your board. 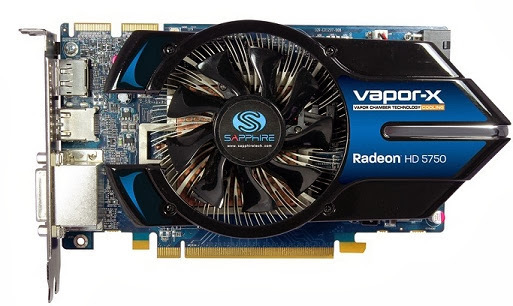 What a good video card should have? A video card typically offers excellent processing capability that goes far beyond what the regular user really needs. People use their PCs just to read email, surf the web and write texts, may well be content with integrated graphics. Who really needs this extra power are users interested in playing the latest games such as Battlefield 4, Fifa 14 or who work with image editing or 3D animation. Some measures are crucial in determining the quality of a good video card. A good measuring performance is its frame rate (frames per second) or the full amount it is able to produce images per second. Another display of relevance is its Pixel Fillrate, or the amount of pixels that the board can process per second, which translates well to their overall capacity, the higher this number, the better the card. In terms of hardware the two most important questions and easy to see is the processor speed and the size and memory availability. The faster processor and larger memory dedicated board, probably it will be better. Other factors also count as the speed of memory bandwidth (measured in Gigabytes per second) and speed RAMDAC. Remember that your motherboard is also essential to the proper functioning of the component, since it can not compensate for the inability of a bad mother board to send data at a reasonable speed. How to identify your video card? 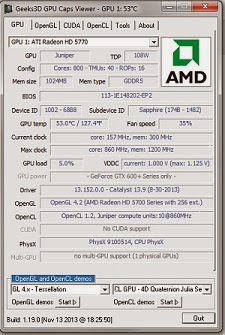 If you do not know for sure the model of your video card, or its overall capacity, we recommend you download a simple program like GPU Caps Viewer to gain a better sense of the properties of your component. After running the program, you will discover the most relevant information as the GPU speed, amount of memory, etc ... Being able to use them as a reference before downloading a new program or heavy game. If you really want to test the performance of your video card, the next important step is to download some benchmark programs that analyze in depth the ability of their boards in extreme situations. 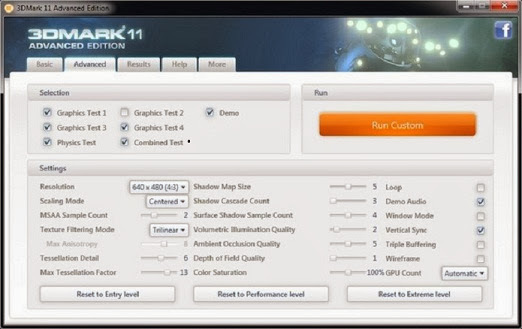 Another good option is to test the 3D Mark 11, designed to test the graphics capabilities in DirectX 11-based computer package. When running the test mode, the program will display a series of images critically analyzing each of the results. At the end of the test scores, which are sent to the 3DMark website, where you can perform comparisons between different systems, and verify that the hardware is running within the standard are created. Finally, a more extreme benchmark test, analyzing in depth the advanced capabilities of your card can be done with the Unigine Heaven Benchmark. That recreates 3D environments with many details to fully evaluate the performance of your board time to run more advanced games. How to find out if your video card runs certain game? Now having full knowledge of the capabilities of your board, and its comparison with the performance of other cards in the market, you can go to apps like "Can you Run it?" and fill the fields with your game or program you want to use and check if your equipment has the necessary requirements to make it work well. Everything happens automatically and the site will use a Java Script to verify the capabilities of your PC.